In the Nordic-Baltic region, there has been a growing concern about an increasing occurrence of multiple tops in young stands of Norway spruce. There is however a lack of documentation on the amount of such damages, and the causal agents involved. In two separate studies in SE Norway, we assessed the frequency of multiple tops in young sapling-sized stands, and studied the relationship between the occurrence of multiple tops and lammas growth the previous growing season on the sample trees. Study 1 included 44 planted and 10 naturally regenerated stands, while Study 2 included 68 planted stands with information on seed source. Among sample trees with multiple tops, 57% (Study 1) and 32% (Study 2) had signs of lammas growth the previous autumn, either in the form of an extended leading shoot or swollen bud. Site index as well as sample tree height were positively correlated to the occurrence of both lammas growth and multiple tops in both studies. In Study 1 we show that the probability of lammas growth was significantly higher in planted than in naturally regenerated stands. In Study 2 we show that it was higher in stands planted with seedlings grown from stand-origin seeds compared with improved seed material. Furthermore, the results of both studies show that lammas growth occurs most frequently among the dominant trees in the stand. Fieldwork and analysis of data were jointly funded by Utviklingsfondet for skogbruket, Skogtiltaksfondet and Skogbrukets verdiskapingsfond, through the project “Top damages and stem quality in young spruce stands: Distribution, genetics and silviculture”. 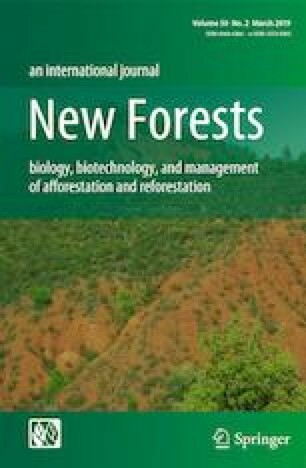 Writing the paper was financed through NIBIO’s strategic programme “Forest Management for Counteracting Climate Change: Forest Carbon Dynamics” (AG, HK and GS) and the Institutional Research Funding (IUT21-4) of the Estonian Ministry of Education and Research (MM). A Short Scientific Visit by MM to NIBIO was carried out with support of the European Forest Institute. The authors acknowledge Rune Eriksen for assisting with producing the map of the study sites.